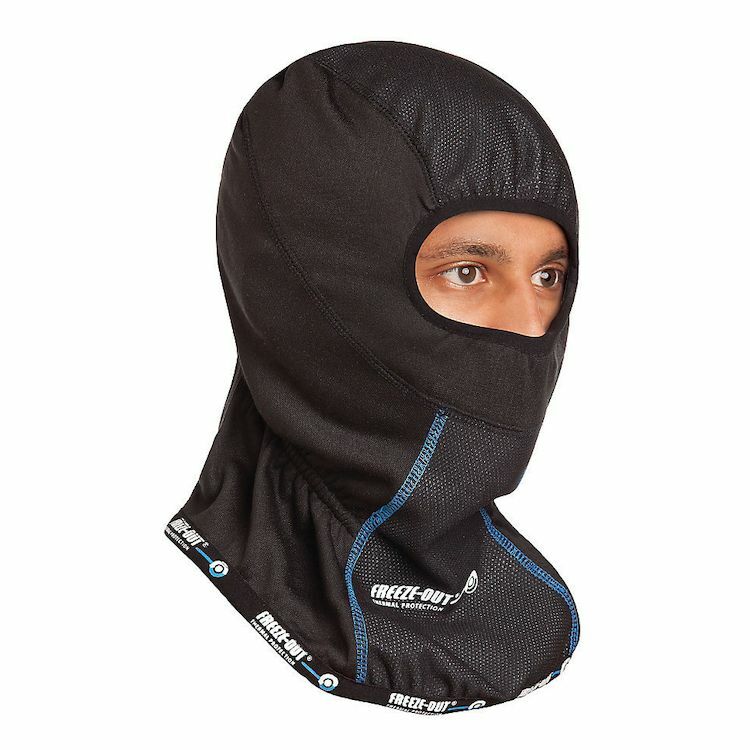 The FREEZE-OUT Balaclava has been discontinued and will not be returning. Essential kit that you'll want on any ride when the temp drops. Strategically placed FREEZE-OUT panels balanced with open poly-fleece ensure maximum wind protection with optimal heat dispersion to ensure optimal temperature balance. Flat-lock seam, construction layers perfectly under your helmet. Once you've tried it you'll wonder how you ever rode without one.